This is on on Saturday , yay! more festive fun! They always have the best chocolate brownies I’ve had there too. I’ll be there with my prints, calendars and cards and stuffing my face and seeing how long I can go before bubba makes me run to the bathroom. So come along if you can! MY OWL BARN FREE CALENDAR FEATURING ME! YAY! My Owl Barn is this great blog for all owl lovers by Shivani. She’s got over 45 illustrators together so that you can choose which image you would like for which month and then print it out for free! It’s all got a ready made version and you can print out just one day if you want it for a gift tag or just to put on your wall. Me and Mum are both in it – we both did the month of October and Halloween – and there are lots of beautiful illustrations to choose from for all months. Secret Skills – New Lino Lion Print ! So this little fella – though usually all teeth and claws is on this occasion knitting a delicate something for a special someone. I just want to rub his big furry nose he’s such a sweetheart. He’s available to buy in my revamped shop should you like him as much as I do. Yes! I will be there, and it will be great! So come along if you’re in the area, lots of really cool stuff made by people with their fair hands, lovely designs, affordable art and useful lovely pieces plus music and tasty treats. This is a great place, a place to buy art and to get it framed too! 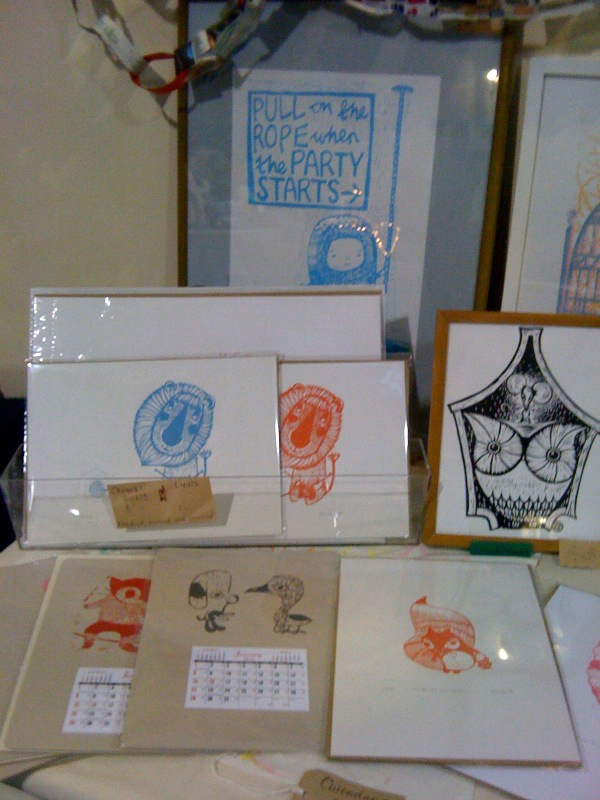 My work is there and they have used my little innuit lino print in their flyers and posters. If you’re around E17 next weekend then pop in! 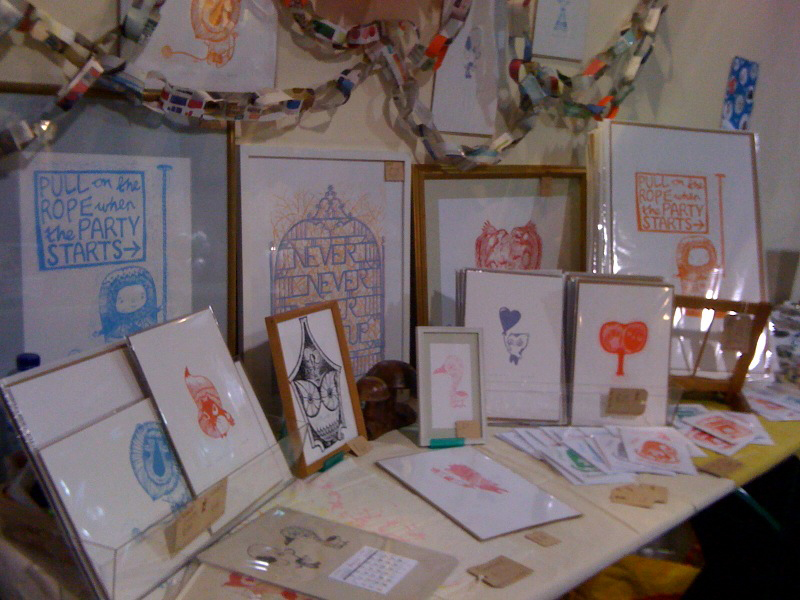 It’s the same weekend as the E17 Designers Event – which I will blog about next as I’m hoping to have a stand there yay!